Home Events Procurement Transformation Source One News Day One at ProcureCon Pharma does not disappoint! Dozens of Procurement professionals in the Pharmaceutical industry gathered today in the City of Brotherly love for ProcureCon Pharma 2016. The day's agenda, themed Strengthening Internal and External Partnerships to Further Today's Procurement Organization, did not disappoint. Presentations and round table discussions centered around how procurement groups in the Pharma industry can better collaborate with key stakeholders and external partners to deliver more value to their organization. 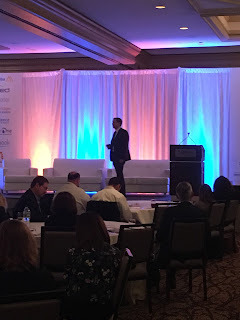 Kicking off the speaker sessions, Astra Zeneca's Head of Procurement -North America, Edward McAndrews, presented his session titled Getting Started with Supplier Enabled Innovation: Unlocking Value from Your Trust Partners. McAndrews discussed how Procurement can take advantage of suppliers' expanded capabilities by building trust with suppliers, allowing Procurement to move beyond reducing costs and take a strategic seat at the table. McAndrews explained that "Supplier Relationship Management (SRM) requires constant improvement." 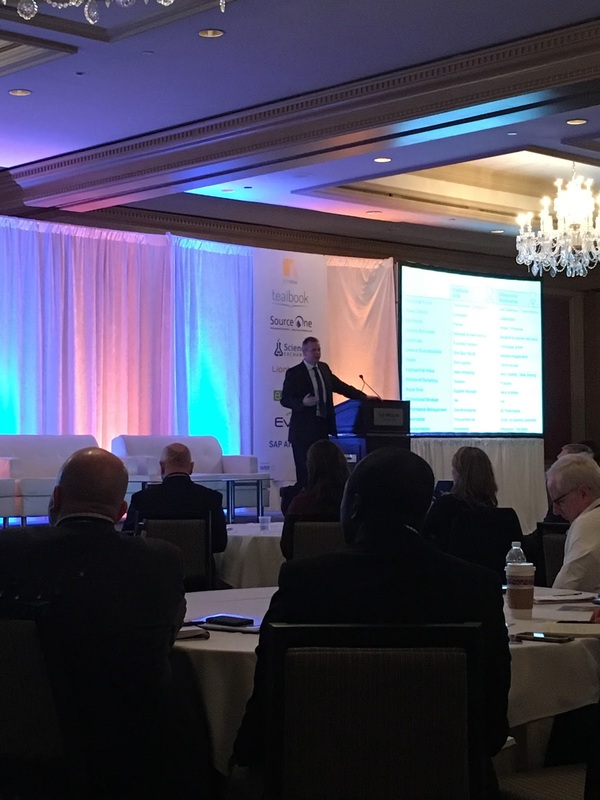 Later in the day, Ken Morsh, Head of Regional Procurement, Americas at Takeda Pharmaceuticals presented a session titled Aligning Procurement Operations Across Internal Business Needs to Unlock Best Value. Keeping on point with ProcureCon's theme of the day, Morsch covered how Procurement groups can better work with key internal stakeholders by understanding their motivations and goals. He explains how to navigate internal networks to get at the crux of Procurement's stakeholders' needs, as well as how to develop the right team to continuously deliver value to your business partners. Also today, Source One Director David Pastore shared a quick session on how Procurement groups can best demonstrate its value through innovative metrics, titled From Savings...to Value. He explained how Procurement has evolved passed solely offering cost-savings and serving a much more strategic role. He argued how this evolved role requires more accurate reporting of the value delivered. Today's agenda also featured sessions presented by Procurement professionals from leading Pharma companies, including Bristol-Myers Squibb, Beohringer Ingelheim Pharmaceuticals, and Ferring Pharmaceuticals. Tomorrow's sessions will center around the theme of Procurement of the Future: Meeting the Needs of Your Business in 2026.